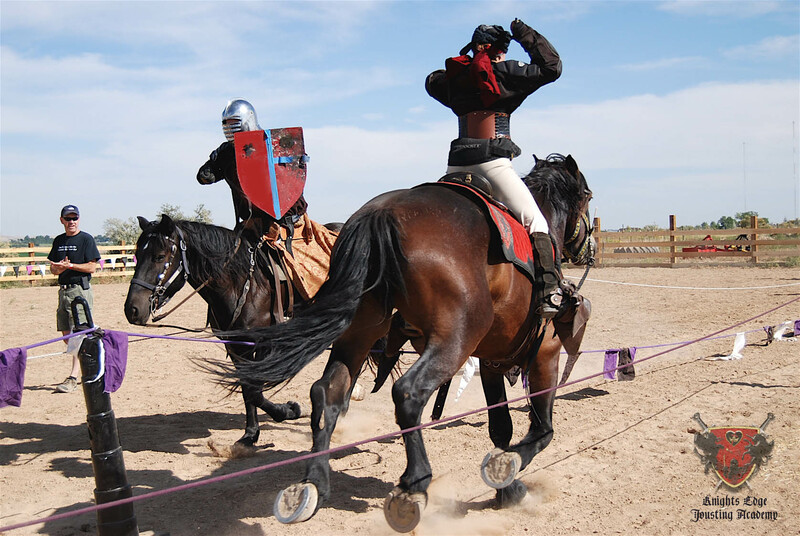 Knights Edge Jousting Academy Breaks yet another “first time” Barrier! The Travel Channel is producing a 6-episode Kevin Connolly Adventure Series that follows up Kevin’s photography, ” Exhibition” and his book, “Double Take”. Ths episode blasts out of the list on Rex, KEJA’s warhorse fit with a special saddle made by Heath Howes (Saddle Tree), Chicago IL. The first step was the saddle fit & function for Rex & Kevin. Kevin walked, trotted and cantered with Jeremy Johnson & Taylor Swanson (EPONA) on the first day. 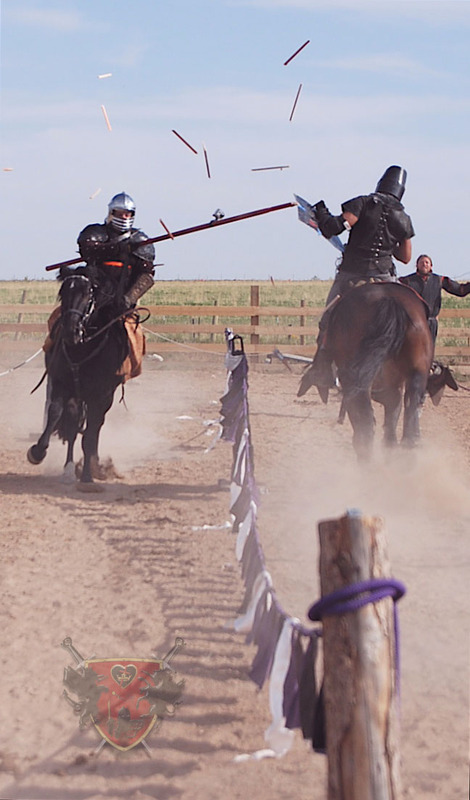 On the second day, Kevin “filled with nervous anticipation” as he was introduced to a world Champion Jouster, Patrick Lambke. Kevin began his jousting lessons with a shield and lance. 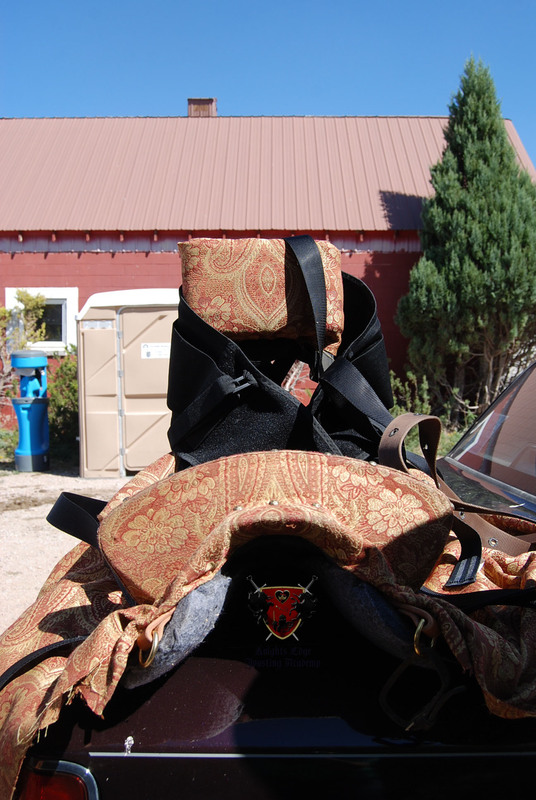 The saddle and “MacGiver jury rigging” efforts successfully launched Kevin into the final day. THE JOUST. 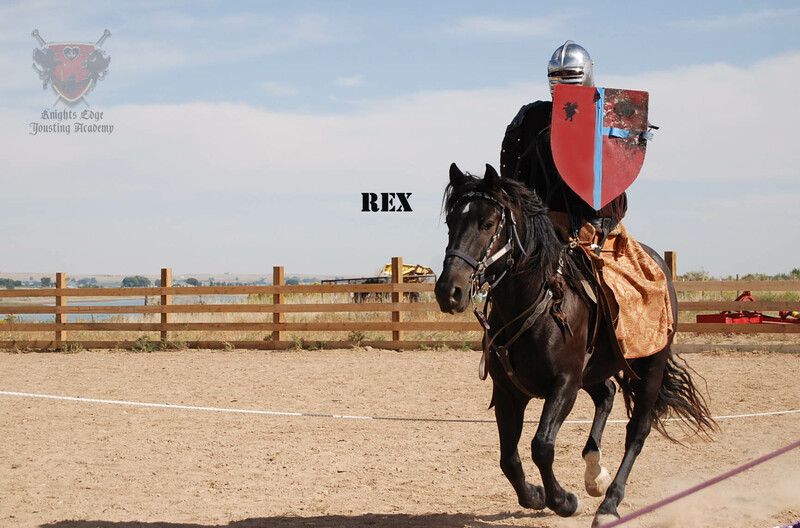 Patrick felt his safeguard ground position with Jeremy also had the best vantage point, therefore, Champion Jouster, Kryssi Jeaux Miller began the first passes with Kevin holding his shield, then his lance respectively. Patrick explains his “two-point” technique in the Ebook, “The Medieval Knights of North America” by Helen Daniel. “I think we need to write another book after this experience. Kevin is an awesome person with more guts than anyone I have ever met!”, adds Lambke.